Explored in 1584. 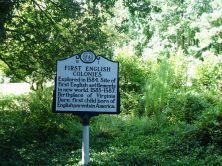 Site of first English settlements in new world, 1585-1587. 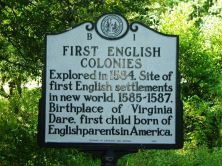 Birthplace of Virginia Dare, first child born of English parents in America.